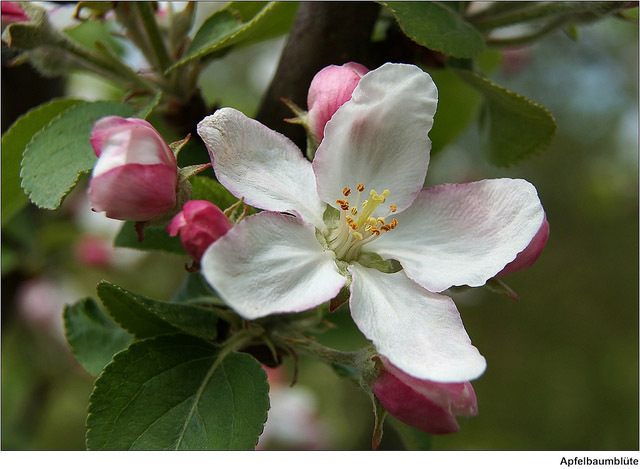 Apple blossom; photo by Winfried on Flickr (noncommercial use permitted with attribution / share alike). From the legislation: "Our blossoming apple trees add much to the beauty of our landscape, and Michigan apples have gained a worldwide reputation. At least one of the most fragrant and beautiful species of apple, the Pyrus coronaria, is native to our state. Michigan has been one of the leading producers of apples and apple products since those early days."